This research project aims to provide detailed physical and chemical information on single Sea Spray Aerosol (SSA) particles, allowing for a deeper understanding of phase changes, chemical processing and the interplay of these properties. 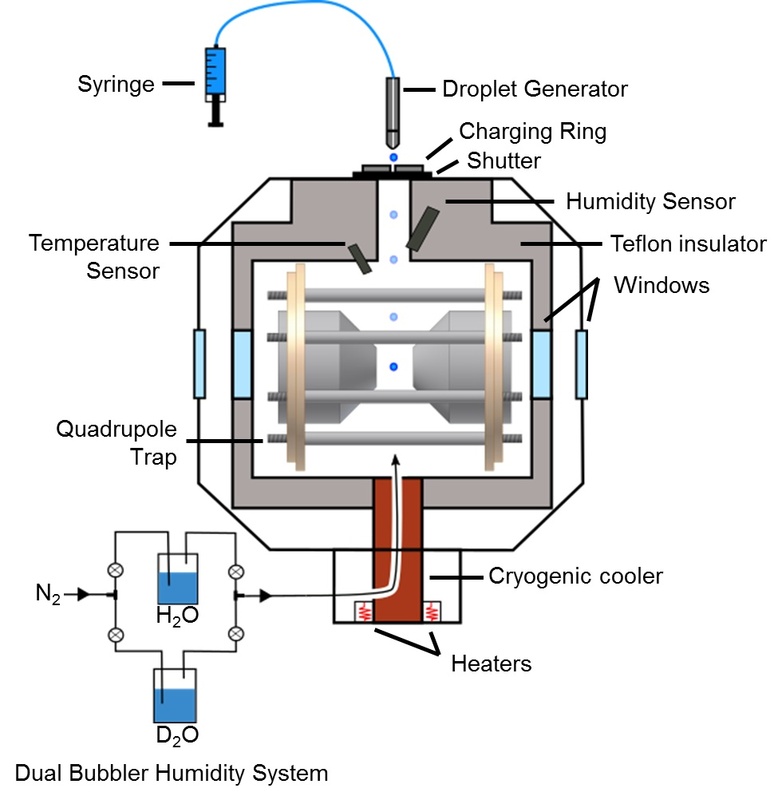 These experiments measure the hygroscopicity (water uptake) and ice nucleation properties of single SSA model systems a combination of light scattering and optical spectroscopies and single particle trapping techniques based on an atmospheric-pressure quadrupole ion trap, a type of electrodynamic balance. 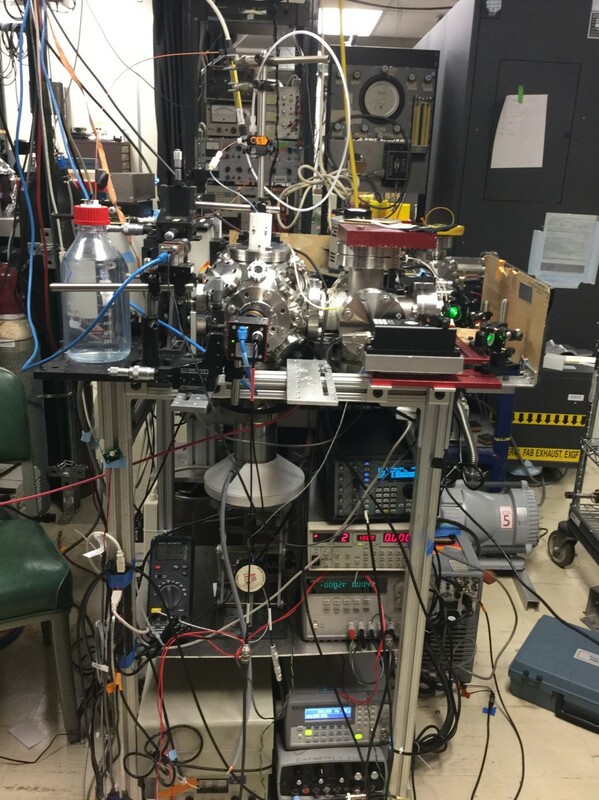 A sophisticated interface has been developed for computer-controlling the temperature, relative humidity and ambient pressure, synchronization and automation of a vibrating orifice aerosol generator, and recording the optical spectra of charged SSA. This project will focus on model systems such as ammonium nitrate, malonic acid, and sucrose to provide insight into the climate relevant properties of real world SSA.